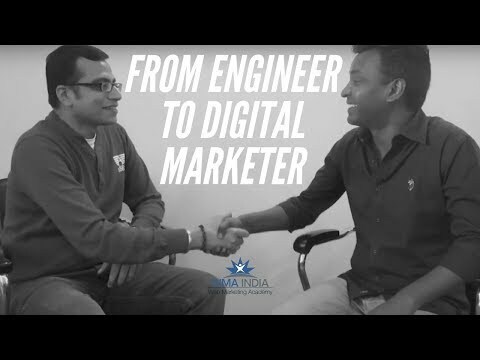 An Inspiring Story of Ashutosh who moved from Kolkata to Web Marketing Academy Bangalore to Learn Digital Marketing. Here is how he transformed his career from Traditional Marketing to Digital Marketing. There was a recent question from Quora: How practical is it to pursue a career in digital marketing after having a 3-4 year gap after engineering? Well If you are really interested in and passionate about learning then the number of years should not be a problem. Once you pursue the career, the challenge is how do you convince your potential employers. You can tell them the genuine reason and most of the employers are ok with it as long as you are able to showcase your passion and interest and ready to accept challenges and prove that you are capable. A recent post just now I added: Digital Marketing Interview questions should help: Suresh Babu’s answer to Can you list out or provide some links that lists interview questions/study material for a fresher in field of Digital Marketing?